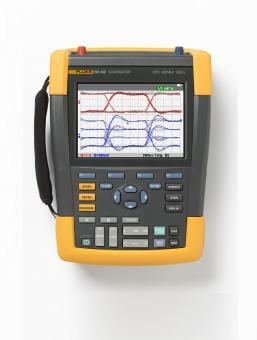 Fluke ScopeMeter® 190-204 combines an unprecedented level of performance, ruggedness, and portability. Fluke ScopeMeter 190-204 combine the highest safety ratings and rugged portability with the high performance of a bench oscilloscope. Designed for plant maintenance engineers and technicians, this tough ScopeMeter test tools go into harsh, dirty, and hazardous industrial conditions to test everything from microelectronics to power electronics applications.